The smoke has cleared from the flaming political drama that are The National Conventions. We officially have our nominees from President— along with the plagiarized speeches, booing crowds, and shattered glass ceilings that made us tweet like crazy. Conventions are all too often about big name celebrities and buzzwords, and like most things in politics, it’s easy to lose sight of what they’re all about. National conventions are all about the issues that affect us, as Americans and as Latinx. After months of candidates debating and campaigning to win the nomination of their parties, national conventions show voters what parties will focus on for the next 4 years. The platforms lay out the most important issues facing our country today, and how each party will address them. Party platforms list the priorities that Presidential candidates— and your local legislators— pledge to follow. You want to know what Republicans think? Check the platform. What are Democrats all about? Check the platform. This year, the differences between the two biggest political parties in the country could not be more clear. While the Republican Party continues to tout itself as America’s moral center, their insistence on reversing healthcare legislation, contradicting science on climate change, and building walls reveals just how out of touch they are with what is important to us. When it comes to this election, we’ll be looking at who is fighting for our values on the local and national level. 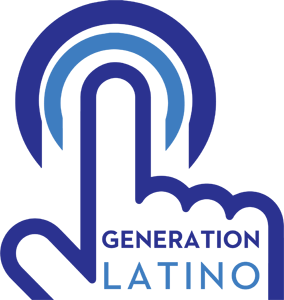 Young Latinx who are coming of age every day will decide this election cycle, and we will be watching how both parties handle women’s health, immigration, marriage equality, and so many other values that we hold dear.